With more than 20 years of experience in the card industry, Roy launched the state-of-the-art American Express commercial card business in the UK, going on to lead product rollout across EMEA and latterly Latin America/Caribbean. Loyalty initiatives have included leading feasibility studies and business start-ups for highly successful Air Miles coalition programmes in the Netherlands and Spain, together with audits of rewards programmes for issuers in the UK, Canada, Brazil, Spain, Singapore, Saudi Arabia, Kuwait, Dubai and Turkey. Most recently, in 2016/2017, he acted as lead consultant to a major bank in SE Europe in developing and launching an ambitious - and successful - rewards programme covering the whole of its retail product range. Roy is also engaged to advise on airline FF programmes. 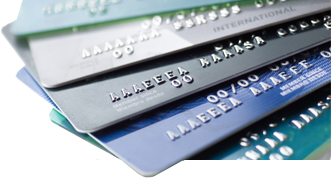 Commercial card engagements have included work with corporate card issuers from South Africa to Russia and Singapore to Ireland. SPM has also served issuers and associations in the planning, launch and strengthening of business card and fleet card programmes. He speaks fluent Spanish, is proficient in French and is the author of Marketing Planning for Financial Services (Gower Publishing), recently translated into Russian and Czech, together with numerous articles for the trade press. He has a B.Com. degree, holds an MA in Management Studies, and is a quondam Fellow of the RSA. Roy is a Director of Clockwise Credit Union, a regional organisation meeting the needs of the financially under-served. Marketing Planning for Financial Services is a sourcebook and checklist against which product managers in the financial services industry can build and validate their marketing plans.